What does receiving a legacy mean to you? Do you dream of mansions, jewels, coins, savings bonds, cars? Or, like me, do you long for the stories? He would laugh about the live rooster Pop brought home in his lunchbox, forgetting to tell his wife before she opened the lid, and mayhem broke out. He’d wonder over the mystery of where Pop went or what he did when he’d leave on secretive trips during the war. But those three stories aren’t enough. Enter my passion for helping people to leave legacies by writing their stories for their families and friends. I began simply by writing my own in a journal with the aid of passwords (an idea from the book Passwords to Your Past by Max Kelly and Dorothy Breslin), which started an onslaught of writing ideas – devotionals, Bible studies, columns, and more. And my passion grew. I began volunteering at senior care facilities, listening to the residents relate their cherished stories, pure joy to this writer. My goal remains to one day help them leave legacies by writing those stories and publishing them into booklet form for their loved ones to read someday. A plaque my daughter bought me hangs on our wall: “Home is where your story begins.” Write it down before you forget! Help others write theirs! Let the legacies loose! • Get Ready! – Pick one of the hundreds of story ideas swimming in your head. • Get Set! – Do some brainstorming or free writing until you have some storyline ideas, a setting, and some characters. • Get Writing! – Start the writing process! Make sure you have a beginning which will hook your readers. Work on twists and turns as the middle proceeds. Managing clutter is a huge time-eater. Give yourself permission to throw or give away. Enlist a friend’s help to de-junque. “No” is not a four-letter word. Say it with grace and dignity to activities and people that drain you or bring out the worst in you. If no one knows you, your writing lacks an audience. If you don’t write, your audience will go elsewhere. Start with a 50/50 split, then adjust as your platform grows. Enlist family members for researching, cooking, running errands, and cleaning. Consider hiring help or trading a writing or editing job for housework or cooking. Ask God to direct your steps and to help you focus on your strengths. What do you most enjoy doing? Recreation means “to impart fresh life to; to create anew.” It’s okay to do nothing for an hour or a day. You’re more productive when you take regular times of rest. Combine two jobs you can accomplish at the same time, one which requires no brain power, such as waiting at the dr.’s office and outlining an article or book chapter. Develop a written mission statement and reasonable, measurable goals. Determine what God and you want from your writing: a few published articles, books galore, changed lives, or all of the above. 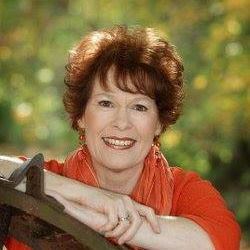 The above is an excerpt from Jeanette’s class, Shock the Clock: Time Management for Writers. In addition to these and other valuable tips, we’ll explore how focus on your strengths and minimize your weaknesses to make the best use of your limited writing time. Column Writing as a Platform Builder, where you’ll uncover the secrets of great column writing, how to develop loyal readers, and what types of columns you are best suited to write. A lively, sought-after speaker for a wide variety of groups, Jeanette is a pastor’s wife, author of four books and hundreds of articles, and a newspaper columnist. Her outgoing, nutty personality and warm teaching style makes audiences feel comfortable as they resonate with her personal—sometimes embarrassing—stories she uses as examples. Jeanette is a mom to two grown-ups, grandma to three kids, and servant to four cats. HAS GOD CALLED ME TO WRITE? Are writers made or born with their gift? What is a Christian writer? Is it too late for me to start writing? I’ve asked and pondered every one of those questions at some point in my life. Most of the people God called in Scripture were quite ordinary. God’s Holy Spirit wrote the Scriptures by using the minds, the hands, the writing implements of ordinary, obedient people. God still works the same way today. Some writers are young. Some are old. Some are educated. Some can barely spell. In a comfortable, non-judgmental session, I’ll explain the basics and answer any questions about the language of writing, editing, and publishing to help you navigate these new waters. If you bring the first paragraph of any project, I’ll critique your work during the third major morning session on editing. Think of this session as Writing 101. Learn about proper formatting, margins, and fonts; how to write a synopsis, proposal, and query letter; and how to use more than the spell-check feature on your computer. Bring a pen and paper or your laptop to class. Not every word you write is golden. That’s why every writer needs an editor. Editing is more than proofreading for spelling mistakes. This session will explain the various types of edits and when, why, and how each is used. We’ll tackle issues such as how to build a network of writing friends, finding a critique group, attending conferences, pitching your ideas, and how to know when you’re ready for the next step. Do you want to remain a hobbyist or take a leap of faith and seek publication? In an interactive session, I’ll discuss the role and importance of writers—fiction and nonfiction—in God’s plan, from your calling to how to change lives with stories that touch the heart. Learn the elements of a great story, even if you write nonfiction. Please join me in July and let’s start at the very beginning. An inspirational book editor for more almost twenty years, Barbara Scott has recently returned to her first love—writing. In the fall of 2016, Gilead Publishing released her novella “I’ll Be Home for Christmas” in an inspirational collection titled Sleigh Bells Ring. 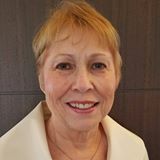 Barbara is the coauthor of two bestselling novels and wrote numerous gift books and devotionals before her long stint as a senior acquisitions editor for several Christian publishers. 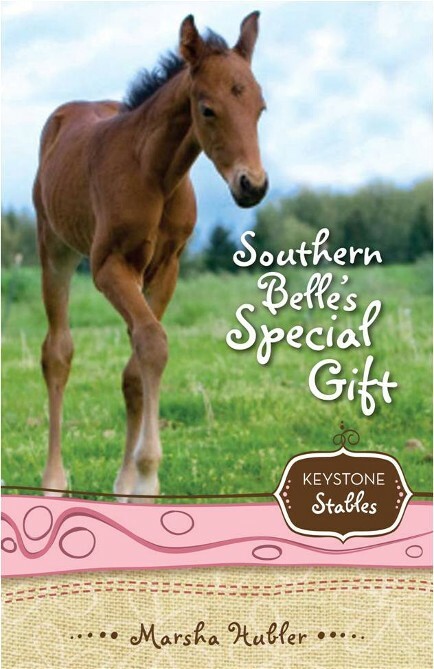 Can Skye help Katie Thomas, a blind foster girl, learn to barrel race a horse? Today’s Writers’ Tip: Come to the Montrose Christian Writers Conference! Come to the Montrose Christian Writers Conference! 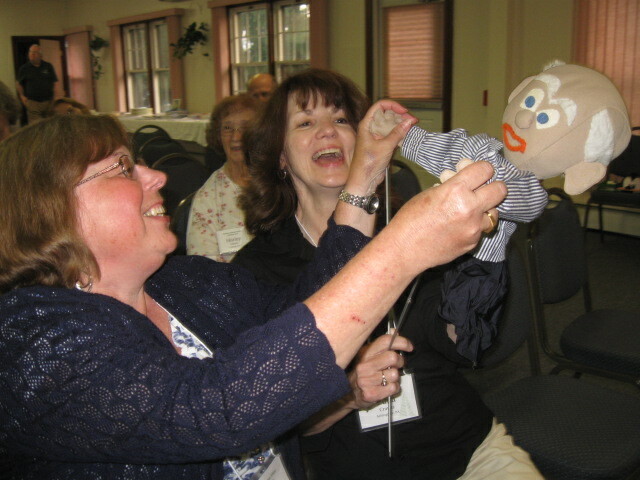 One of the most meaningful experiences you’ll ever have as a writer is attending writers’ conferences. The knowledge gained, the friendships made, and the encouragement received are all well worth the time, effort, and money invested in any writers conference you attend. 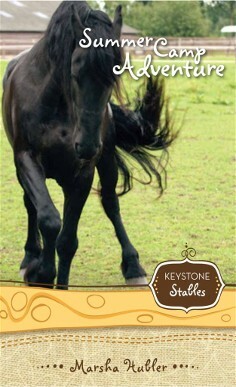 In 2001, I met Barbara Scott, the acquisitions editor of Zonderkidz, and my Keystone Stables Series was launched, eventually becoming a best seller with over 150,000 in print. After all these years, the books are still in print and selling fairly well. Thanks to the wisdom of Barbara Scott, who said, “I want this series to have a long shelf life,” that’s exactly what’s happened. The Montrose Christian Writers Conference in Montrose, PA, is one of the best conferences, in my opinion, that you’ll ever attend. Of course, I’m partial since I assumed the directorship in January of 2015, attempting to continue the excellence of faculty and workshops started 27 years ago and directed by Patti Souder for 20 years. as well as 45 other afternoon and evening classes or workshops. If you leave this five-day conference without learning anything, I’d say you’re not cut out to be a writer. Do you need your manuscript privately critiqued to see if you should continue or give it up and take up crocheting? We’re able to help you with that as well, offering professional private critiques by five faculty members (for a small fee) OR freebie peer critique groups moderated by seven faculty members. So get that manuscript ready! If you want to take a peek at what the conference looked like last year, go visit now. 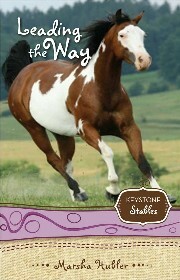 Skye has her hands full trying to help Jonathan, a stubborn deaf boy, learn to ride western when he just wants to ride English style. Then he takes off on his horse in the middle of the night and gets lost in the woods. When I wrote my Bible study guide, DRAW ME CLOSER, LORD (2003, Regular Baptist Press), I had pages of notes for each of ten lessons, including websites for references, information about other authors’ names, addresses, and contact information whom I cited, Bible verses used, and so on. I listed in a separate file all the details I needed to go back and research or get additional information on any of the above entities of the written work. Only after I submitted the manuscript to my publisher did I find out how valuable all that information was. The editor needed additional references for the bibliography at the end of the book AND she needed permission from all poets whose work I cited in the book. Now that was a task to complete! One poet had passed away, but I received a nicely written permission slip from the poet’s husband. Some poems had large publishing rights’ fees attached to them (such as poems written by Helen Steiner Rice), which forced me to delete those poems and insert others that had no fees. But with all this additional work, I can’t imagine how much harder it would have been had I not recorded where I found all the poems and quotes that I had used. 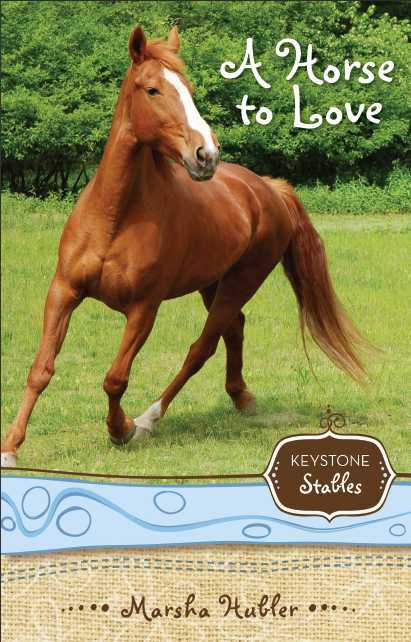 When writing my two fiction series, THE KEYSTONE STABLES and THE LOVES OF SNYDER COUNTY, I made detailed notes of all the characters, primary, secondary, and even the “insignificant” ones. I recorded lesser characters, whether they had a name or not, such as the man selling Scottie puppies at the farmers’ market who had his vending spot next to my main character’s table in Louellen Finds True Love. For the more important characters, I described their physical appearance and often their demeanor, personality, or likes and dislikes. I also listed the names or details of all places, including towns, counties, farms, homes of main characters, route numbers of roads, and descriptions of many of the places or scenes. If you’re writing a 150-to-400-page book, you need to know if you used the name “Joe” for any character, even if he’s just the guy fixing a flat tire at a garage. If you’re writing a series, which can take months or years, how are you going to remember whether Joe’s name was ever used for any character? Go back and read all your work? Uh huh. In my LOVES OF SNYDER COUNTY SERIES, a three-volume set being re-released in a few weeks, I kept detailed notes, and I’m ever glad I did. After writing the three books, I also wrote an additional 24 short stories (5000-8000 words each) based on the characters in the three novels. [They’ll eventually be published as Plain and Proper in Snyder County Volume 1 (12 stories) and Plain and Proper in Snyder County Volume 2 (12 stories)]. I was able to go back to my pages of notes and see who’s related to whom, which farmers’ market is in Ohio, who the parents and siblings are of the main character in each story, which character in the book series likes sewing, which one loves horses, which one is a young widow, and so on. The initial work it took to open new files and start listing persons, places, and things has been well worth the effort. Believe me!